Himalaya Public School carries and fulfils all the recommendations to facilitate its students and to achieve the purpose, the school has an in-house AC fitted Medical Room with a trained nurse during School Hours. The room is properly ventilated with beds to nurse the sick children. Children are examined thoroughly twice a year under the supervision of a panel of doctors appointed for the task. Computer generated medical reports are handed down to the parents individually. Each & every student has been registered with personal history of their medical health . If any child suffers due to any reason, the same is informed to the parents on the very same day. To make the task easier the school also provides for wheel chairs and elevators within the building. 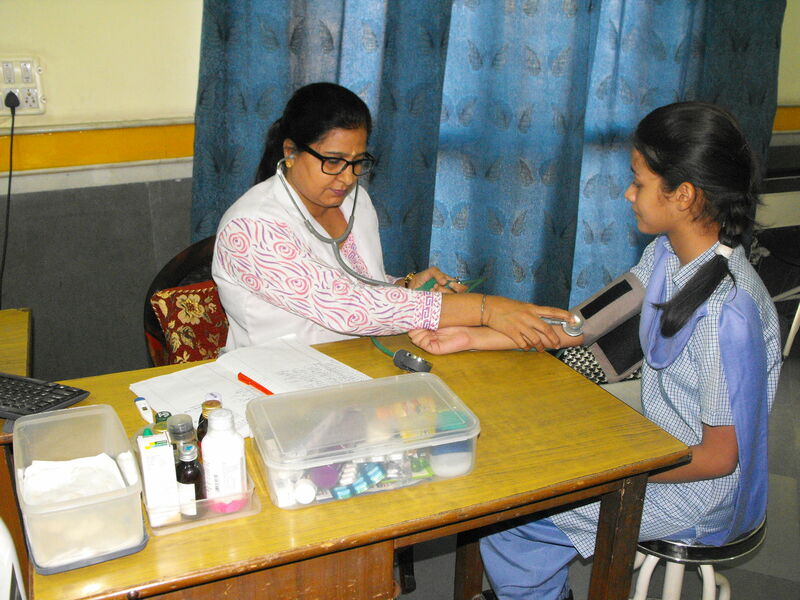 All the students are also insured to avail the medical emergency occurring at school.